Where Are The Diesel-Electric Hybrid Cars? 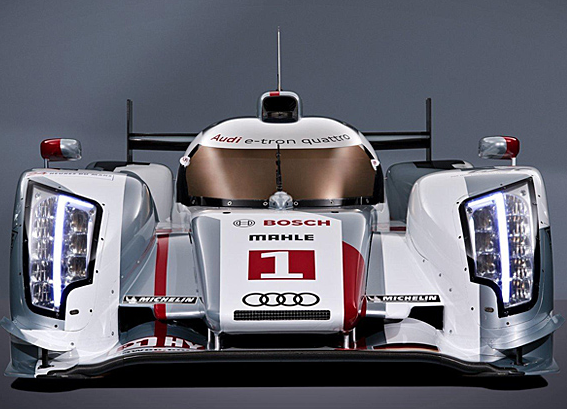 I was thinking specifically of Audi’s much-hyped R18 e-tron quattro diesel-electric hybrid race cars, which have won the 24 Hours of Le Mans, and other high-performance contests. The answer was essentially it’s a double-whammy price-wise. The hybrid technology, which adds batteries and electric motors to a regular car, already adds to the MSRP. Up to $7,000 extra (& it can be more). And the cost of a diesel engine compared to a gasoline engine is also more. Put another way: If you replace a car’s gas engine with a diesel, that’s one price bump; if you then add the hybrid tech, that’s another. Figure on at least $10,000 tacked onto the sticker price. “We are not sure the market is ready to accept the added costs both technologies would add,” said Anthony Foulk, Audi’s U.S. product manager, in a recent Q&A session on the subject. But, again, the question was asked: Why race diesel-hybrids, then? What point are you trying to make, if you don’t offer cars with those technologies for sale? Then we got the “we can’t talk about future products” answer. So…maybe diesel-electric hybrids are in the works at Audi. Maybe not. But if something like that is, the fuel mileage gains could be noteworthy. To the advantages of 10-15 percent better mileage added by the hybrid system, you can also figure that diesels generally get 25 percent better fuel economy than a gasoline-powered internal combustion engine. Audi makes a point of the diesel advantage, in marketing its newest line of diesel-powered, fuel-efficient A6, A7, A8, Q5 and Q7 automobiles. How about a 37 mpg Range Rover? But for those who don’t want to wait an undetermined amount of time for a diesel-electric hybrid from Audi, there’s news: Land Rover said it would unveil diesel-electric hybrid versions of its Range Rover and Range Rover Sport SUVs at the Frankfurt Motor Show in September. Orders would be accepted immediately. Deliveries could begin as soon as early next year. What kind of fuel economy could be expected? Land Rover says around 37 m.p.g.